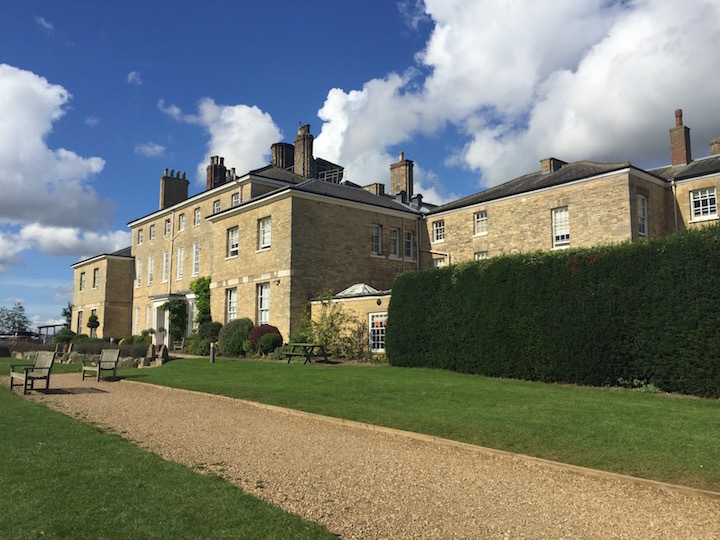 Muddy says: A friendly, inclusive non-selective three-site nursery, junior and senior day school close to Milton Keynes, taking boys and girls from age 1-18 in an attractive rural setting. 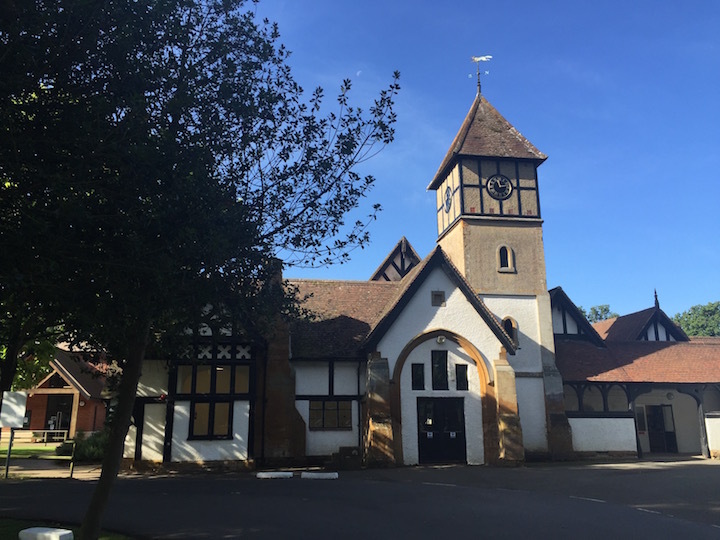 Akeley Wood school is an attractive three-site fee-paying nursery, junior and senior day school in rural North Bucks, close to Milton Keynes, taking kids from age 1-18 (wow, how convenient is that?). 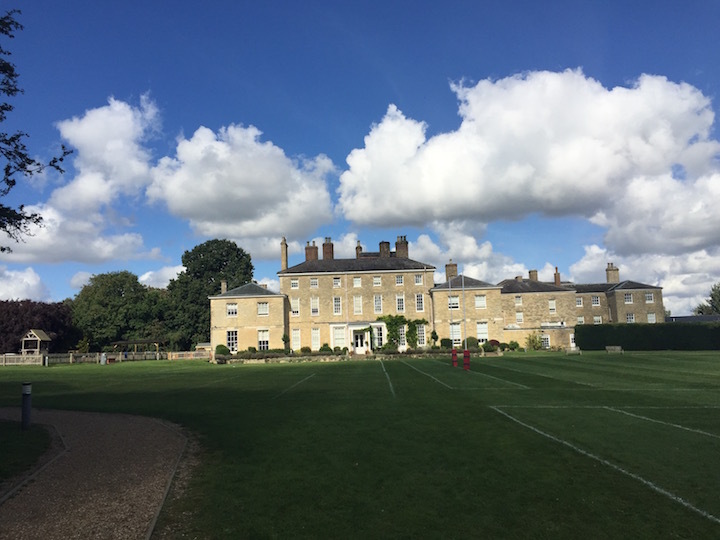 A non-selective school, there are 750 kids here (250 at Junior and nursery; 400 at Senior, 100 in Sixth Form), both boys and girls, with average class sizes of just 14 in a collective 50 acres of grounds. 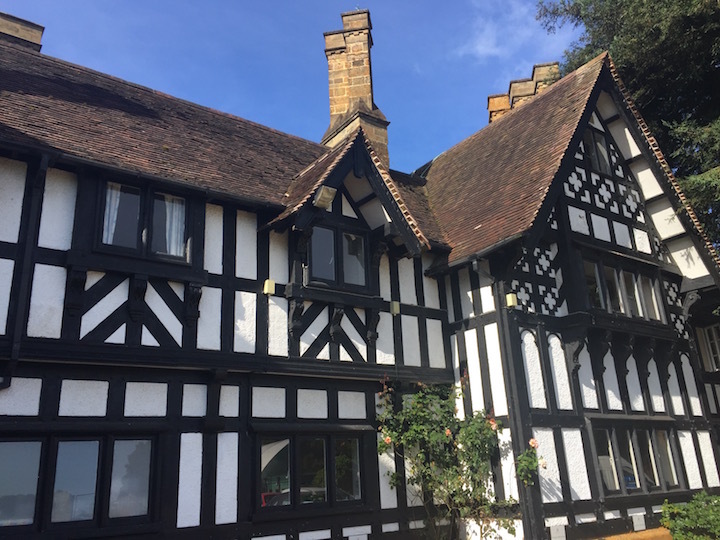 The Senior School is set over two sites with some lovely 19th century historical buildings (above) intermixed with more modern bricky jobs for 11-13 year olds at one site, moving to 13-18 on the other, and then it’s a 15 minute scenic drive to the junior and nursery school. If you have kids at each site and are worrying about time travel, there’s a minibus that moves the children to one pick-up point. 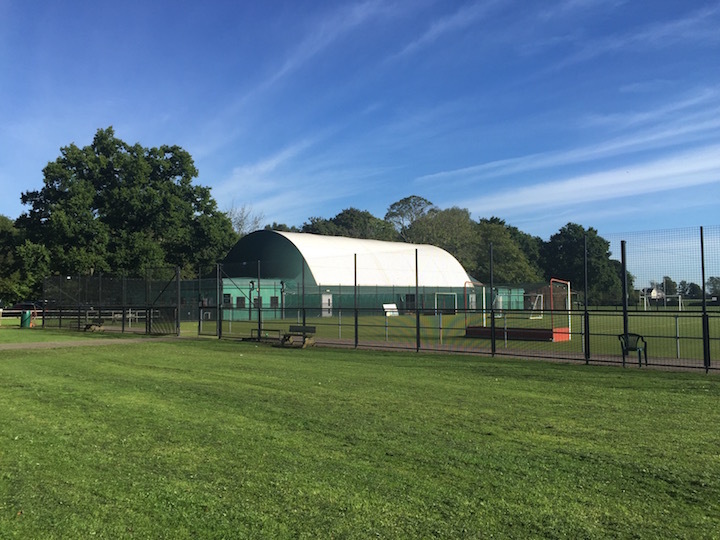 At the senior school, there’s been some heavy investment, including a heated dedicated sports dome (above); a brand new gym; 12 tennis courts, all-weather full-size astroturf pitch and four badminton courts. Currently there’s a whopping IT overhaul to the tune of many thousands that’s ongoing. Plus there are specialist rooms for art, textiles, music and drama. 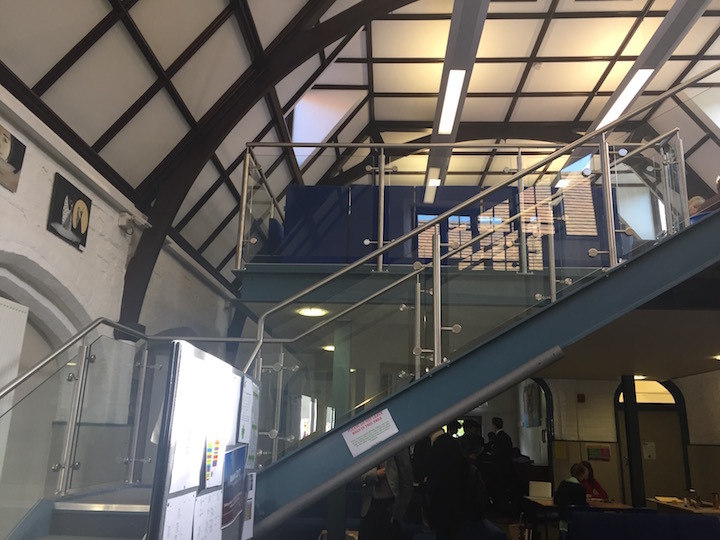 And I’m liking the cool Sixth Form area up those swanky glass stairs, below. 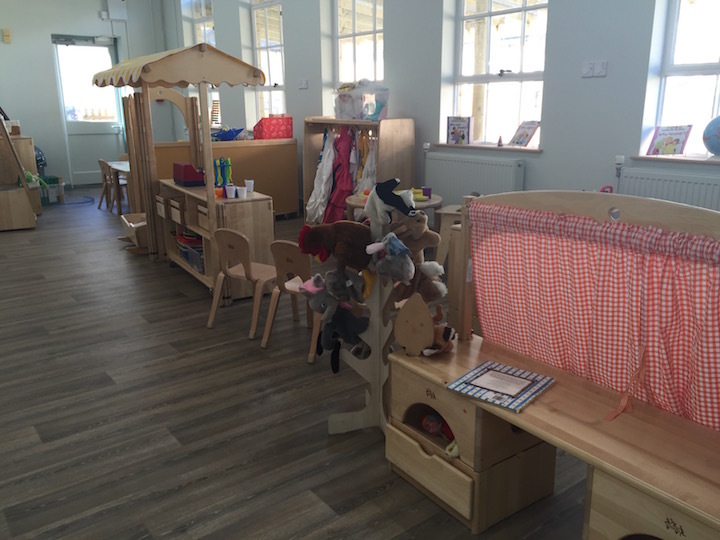 The nursery area had a huge makeover a year or two back, and you’ll find it now with lovely muted colours and tasteful wooden toys so any child who comes here will no doubt be totally zen and laidback. 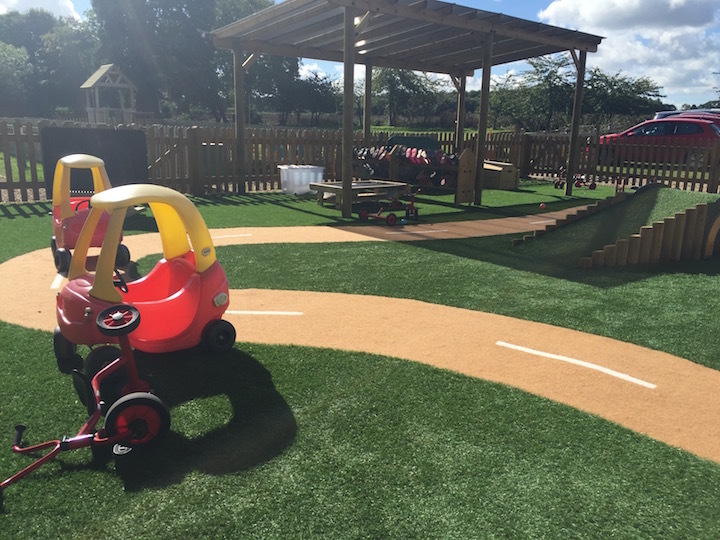 There’s a lovely outside play area that backs onto the playing fields. 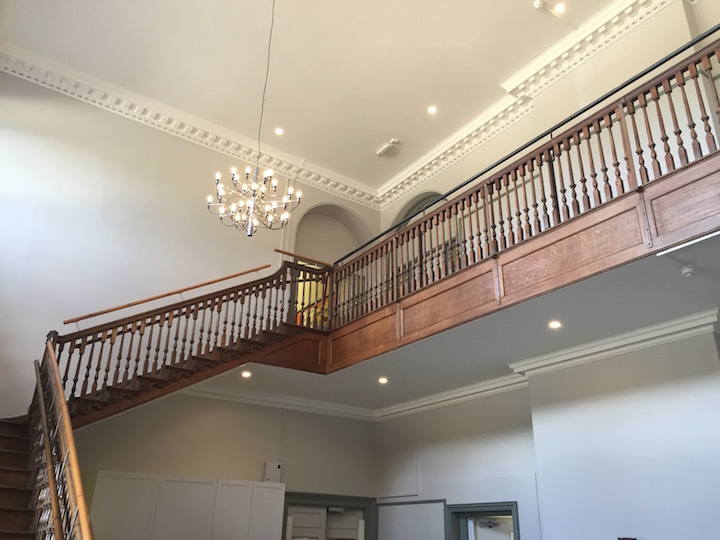 Architecturally, the sweeping central stairway has been brought back to its former glory. Your kids won’t care, but you’ll like sliding down it. 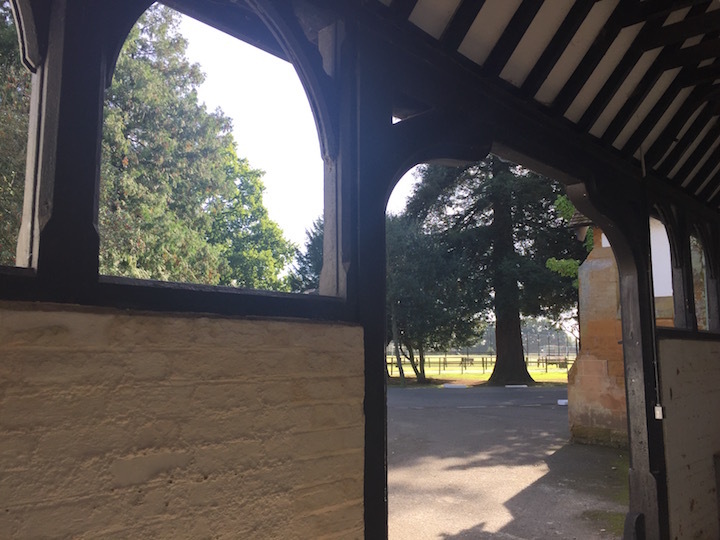 Akeley Wood is a non-selective school in a grammar school area, so its GSCE and A level grades are above the national average without blowing the barn doors off the examination room. For GCSE’s in 2018, 23.6% students at Akeley Wood School achieved A*/A grades, 66% of students achieved A*-B grades and 92% achieved A*-C grades. 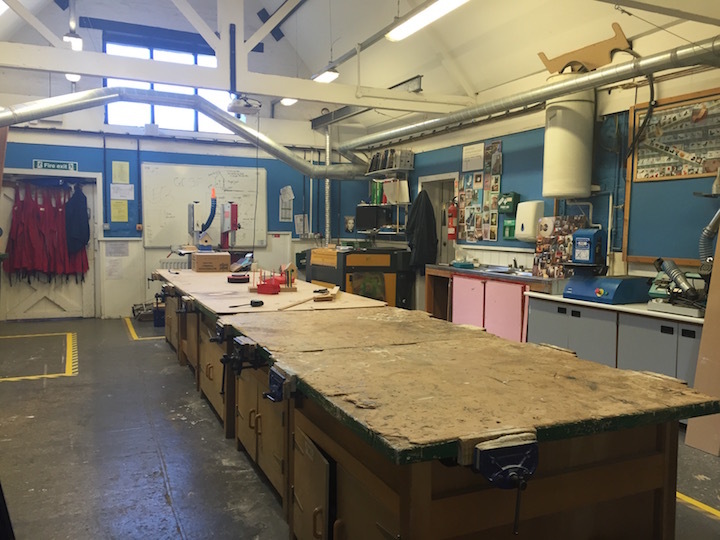 A recent, welcome development here has been the introduction of BTEC ad CTECs for the Sept 2019 intake into Sixth Form, meaning that kids who might not suit A levels or who want a more vocational syllabus can stay on at the school. The school offers 20 A levels and 4 vocational programmes. Simon Antwis started as the new head in June 2018, taking over from Georgina Masefield, whose tenure lasted just two terms. Antwis has quickly pulled a new smart team around him, and has lots of experience having previously been head of all-through school St Clare’s in South Wales for 5 years. He’s a hulking ex rugby player who’s mad for sport (and particularly keen on raising the profile of girls’ sport, with two daughters of his own playing county and international sport), and his calling card has been the introduction of AS Tracking, a way of monitoring wellbeing in the pupils that accurately flags up any pastoral issues. ‘Happiness gets the best results’ is his policy. Over at the Junior School Clare Page has a jolly, kind presence – she’s been head teacher for 9 years, and with the school since 2005. I’m not sure quirky is the word for Akeley Wood, but it does have some strings to its bow. There’s the Creative Curriculum, taught on Friday afternoon throughout the school offering a huge range of experiences from sports coaching to print making, robotics, archery or warhammer (yes, apparently it’s still a thing). The Junior School has two choirs and an orchestra (big tick), plus modern foreign languages, music and ICT all taught by specialists. 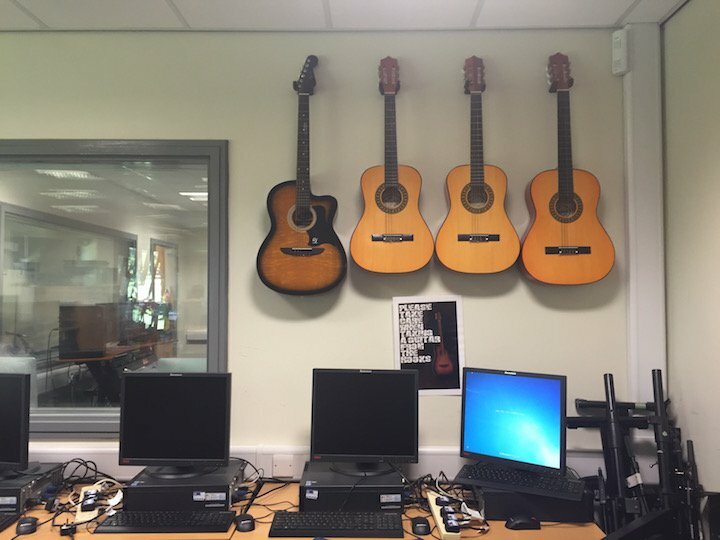 Over at the senior school, more unusual subjects for GSCE and A level include Music Technology (it has its own dedicated music studio) and Photography. There’s a dedicated SEN facility to help those who need some extra help and attention and a recent addition of a Wellbeing room for kids who want a bit of time out to de-stress. Around 150 students take private music lessons which I’d say is a bit on the low side, but there are the usual orchestras and ensembles, from jazz band, guitar ensembles and music tech clubs plus smaller rock bands who play at Woodfest. And hands in the air for the introduction of DJ’ing lessons to complement the changes in the GSCE music syllabus! 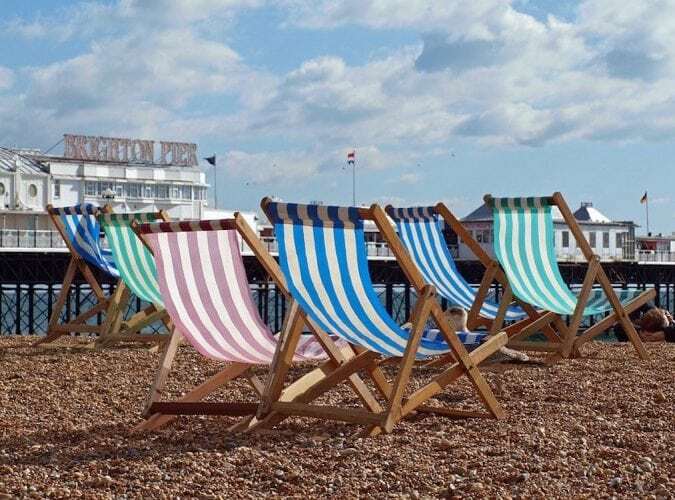 The school day starts at 8.50am, and children can stay for after school activities until 4.30pm free of charge, with paid for after school care until 6pm. At the nursery, earliest drop off is at 8am, and latest pick up is 6pm. Nursery fees work out at between £233 – £1020 per month depending on the age of your child and how many days you opt for. Reception, Y1 and Y2 annual fees are £9450. From Y3-6 the annual fee is £11,685 and for Y7 and above it’s £13875 per year, so the fees here are below average. Three study support lessons per week works out at an extra £1305 over the year. 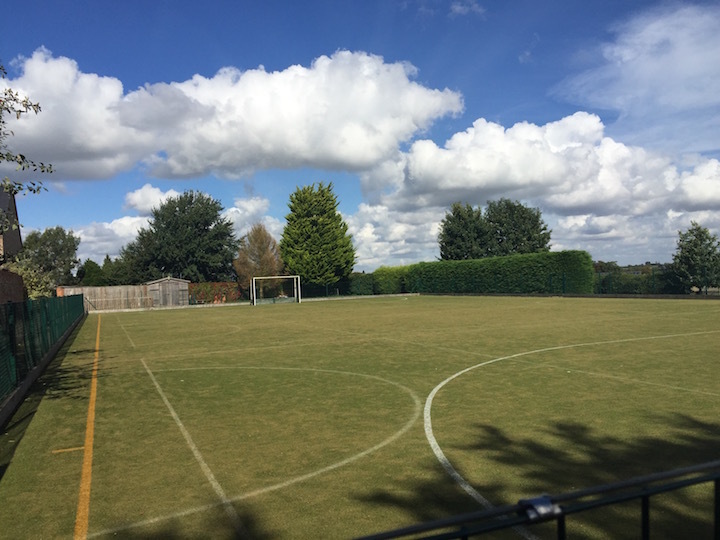 Last year was a tricky one for Akeley Wood – a head leaving after less than a year is a pain for staff and kids – but the general verdict on Simon Antwis is that he’s a charismatic force, and has made a good impression quickly. 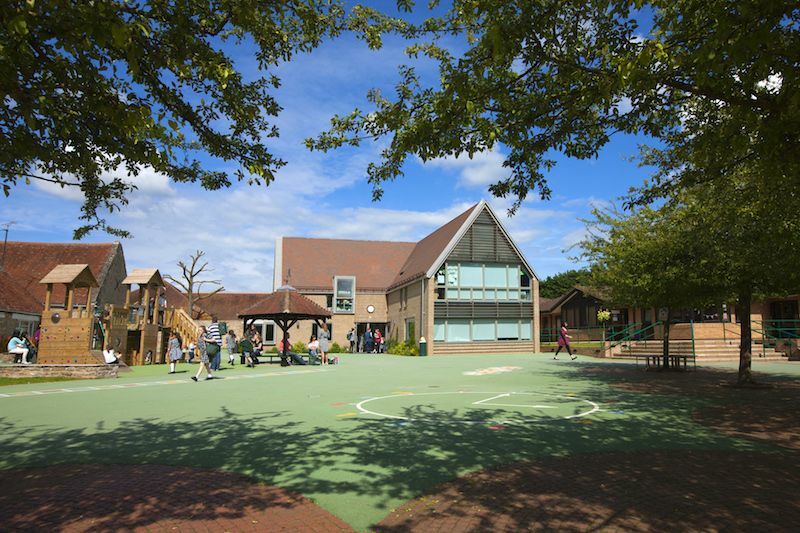 Akeley Wood has a good reputation amongst parents for its inclusive, unpretentious vibe and its excellent SEN provision. Parents I talked to like the fact that it’s not a ‘hot-house’ The nursery is currently under-utilised in terms of numbers, so a great time to book your babies in. Good for: Those looking for an unpretentious, friendly school that won’t ‘hothouse’ children, set in idyllic surroundings. The small numbers is great for kids who thrive on individual attention. Anyone wanting the ease of keeping their kids at the same school from 1-18. Not for: Akeley Wood’s relaxed ethos and non-selective cohort might not suit more overtly ambitious parents. Dare to disagree? Be my guest! There are two Open Days coming up – 2 Mar (Senior School), 9 Mar (Junior School) so check it out and let me know what you think!